Bestline Painting Inc. is your full-service experts for residential and commercial painting projects. Our competitive pricing, impeccable work and friendly service set us apart from the competition. For over 25 years, home and business owners have relied on Bestline Painting Inc. to deliver the best in the industry. Bestline Painting Inc. offers industry-leading solutions for all your interior and exterior painting needs. We specialize in house painting in Clackamas County, OR, and also provide expertise for your commercial and industrial settings. Our long list of satisfied customers includes owners of hotels, apartments, churches, malls, industrial shops, hangars, houses and more. We use only top-quality Sherwin-Williams paint, and we bring over two decades of experience to every project. Our knowledgeable staff delivers detailed work, and can even help you select the best color for your space with use of our online color visualizer. This personalized expertise is what has made Bestline Painting Inc. the go-to source for painting throughout the region. We are locally owned and operated, with over 25 years of experience. We use only industry-leading products from Sherwin Williams. 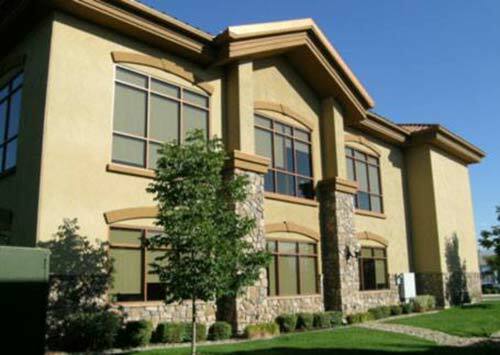 Our expertise covers residential, commercial and industrial painting projects. We value our customers above all else. We offer free estimates on all of our painting services. Contact the experienced professionals at Bestline Painting Inc. to execute your next painting project with industry-leading knowledge and techniques. "Really good job. Love the color and they were very thorough. Im a tough customer too. Very good. I would highly recommend them. I had my hom..."